Colleen is the first one who will assist you in becoming one of our valued clients. 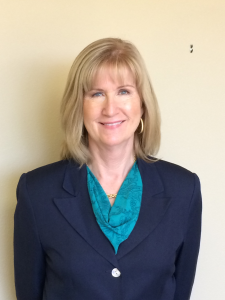 She has seventeen years of experience working with the Law Offices of Mark E. Hancock. She will help with necessary legal research, with the assembling of the facts and documents in your case and often helps interface with the other professionals that may be engaged in your matter. She also helps with office management duties. Colleen has a Bachelor's Degree in General Humanities from Santa Clara University. She has also worked in management jobs in the non-profit and business communities in Ventura County.